Question: Sri Lanka currently faces considerable pressure to allow an international, independent probe into war crimes allegations. Why is the government so reluctant to allow any external inquiry? Does it not make sense to allow such an inquiry instead of providing a rallying point for PRO-LTTE activists worldwide? It is true that these allegations have become a rallying point for LTTE activists, but the international practice is that you don’t go for an international inquiry unless and until it is proven that domestic mechanisms are inadequate. Unfortunately, there has been a tendency in recent years among some countries to immediately say domestic mechanisms are inadequate without even studying them properly. This goes into the question of sovereignty which the UN used to be very firm about. With the emergence of a unipolar world, some countries began to feel that the moral perspectives were entirely theirs. There is an idea that powerful countries decide what a just war is and what is not. The paradox about the Sri Lankan situation is that it is universally agreed that the war against the LTTE was a necessary war. The LTTE was given several chances to negotiate and when the government decided that it could no longer allow terrorism to continue, the world concurred with this. But now, there is unreasonable pressure being exerted without any real basis for allowing such an inquiry. After the meeting held recently in the House of Commons, a young man who claimed to be Siobhain McDonagh’s researcher (and also to work for the Bank of Scotland, during a later conversation) agreed to send me video footage of attacks on hospitals. He claimed he had a lot, and this substantiated a clip he had prepared of Dr Shanmugarajah saying that the Sri Lankan forces were attacking the hospital at which he was working. Predictably he did not send me that footage. That decision was, he said, after careful consideration, which I could understand. I suspect that footage was what had been supplied to Channel 4. We know from that meeting that Siobhain McDonagh had been in touch with Channel 4 over the making of its film. It would certainly have been very telling if material for that film had been supplied to Channel 4 by her researcher, after which she claimed that the film was an objective account on which she based her allegations against Sri Lanka. Fortunately her researcher, Canaa as he told me his name was, or Daran as he signed himself in and then emailed me, could not let well alone. In addition to sending me the clip of Dr Shanmugarajah talking, he sent me two more clips. One was gruesome, and seemed to be of the dead body of a soldier being carried by fellow soldiers talking in Sinhalese. It dwelt horrendously on his mutilated face. I could see no reason for this except triumphalism, to be used perhaps as propaganda, to show how effective LTTE terrorism was. Daran however told me, when I asked him, that he had obtained the clip from a site selling film clips made by Sinhalese soldiers. When I asked him how much he had paid for this, he said he had got it free, as a sample. I think the story most unlikely, because it is extremely unlikely that fellow soldiers, even if filming the bringing back of a dead body, would have dwelt quite so ostentatiously on a mutilated face. Even more suspicious was the second video, that of what seemed to be an aerial attack. The first part had planes flying and smoke rising, but the main substance was the footage of wailing over dead bodies. Some of the wailing also seemed exaggerated and false, but that is of course a subjective view. Clear was the fact that nothing actually connected the latter pictures to the former, and it seemed clear to even an amateur eye like mine that there had been a great deal of editing. 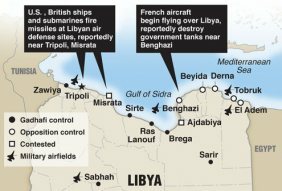 The recent events in Libya have given rise to much discussion about the morality of decisions with regard to international relations. There have been allegations of inconsistency and double standards, of greed masquerading as compassion, of power purporting to be righteousness. All this analysis ignores the one obvious fact about international relations, namely that they must be conducted by any country so as to benefit that country. Equally obvious is the fact that countries cannot afford to claim simple self interest as their motive when dealing with others, particularly when those others – or victims of collateral damage – are being harmed. Countries must necessarily therefore construct pretexts that dignify their actions. To expect consistency as to pretexts that are advanced is not sensible. If one country is an enemy and behaves in a way that can be construed as bad, one will take advantage of the situation. It would be utter folly however to expect one to be equally critical of similar actions by a country that is a friend. 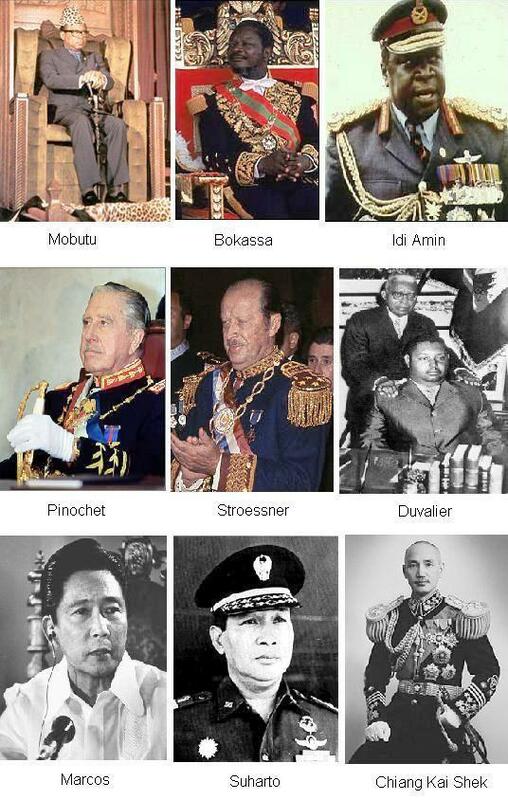 A recent article in the British media asserted ‘their crimes against humanity live forever – but death always catches up with dictators, one way or another’. That startlingly meaningless statement was given teeth with the claim that ‘the way dictators meet their end often lingers as the defining image of their cruel lives’, a notion illustrated with pictures of the gruesome deaths of Gaddafi, Saddam Hussein, Mussolini and Nicolae Ceauşescu. 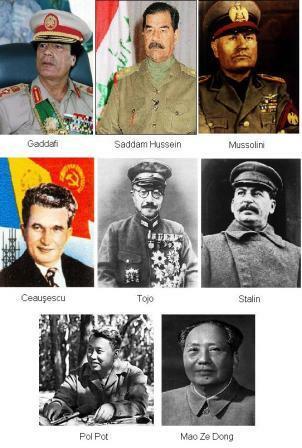 There was also a picture of the Japanese war leader Tojo after he tried to commit suicide, along with pictures of the dead Stalin and Pol Pot and Mao Ze Dong. Suharto and Chiang Kai Shek, who came to power through violence, or stayed on and on with no concern for democracy. Western hypocrisy however is something we have to live with, and we need to realize that hypocrisy is not particularly a Western trait. It is only that, when hypocrisy is combined with great power, it seems particularly nasty to those who cannot express their own self-interest quite so forcefully. The West should realize this, before it provokes a backlash. It should also realize that there are limits to its power, though this may not seem obvious in the present context. The mess they caused when they invaded Iraq is a case in point. After the enormous support they had for the invasion of Afghanistan, support fuelled not only by the attacks of September 11th 2001 but also the excesses of the Taleban regime, they threw away that goodwill by attacking Saddam Hussein on trumped up causes. 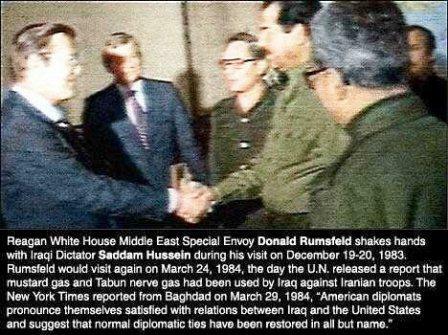 Saddam Hussein was not someone who deserves our sympathy, but that had been the case even when he was the darling of the West, supported because of the animosity of the West, or rather the United States, to Iran. The volte face that took place subsequently was much more surprising than in the case of the Taleban, which had also been adored when they opposed the Soviet Union, but in this case the attack on the Twin Towers provided good reason. With regard to Saddam, the fact that the excuses were trumped up was obvious, and contributed much to the feeling in the Islamic world that the West, or rather the Anglo-Saxons, were opposed to Muslims in general. 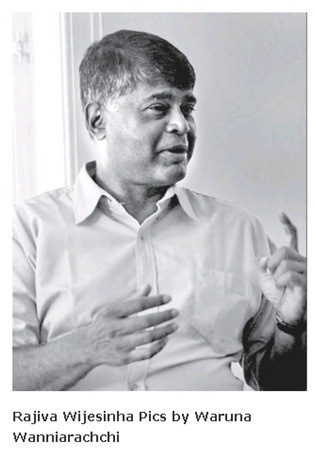 Language policy in Sri Lanka has been a total mess for the last century. Unfortunately, most measures taken to remedy the situation created greater problems. The aim of this paper is to provoke debate on what should be done in trying to promote economic development and social cohesion. In that respect I am perhaps luckier than my peers speaking in other sessions, since the second element in my title suggests a clear goal, whereas in other cases we are simply given abstract terms. We need to argue then about what needs to be achieved with regard to identity, education and the arts, and about these there might be disagreement. But about the need for economic development there can be no dispute, just as there can be no dispute about the need for social cohesion, if we are not, all of us, of all communities in the country as a whole, to suffer again the anguish of the last few decades. What are the problems we face now because of absurd language policies? With regard to social cohesion, first we have a situation where members of different communities cannot in general communicate with each other, because they are straitjacketed in monoligualism. Second, members of minority communities are at a disadvantage when it comes to employment, in particular in the state sector, because they do not know the principal language of administration. Third, springing from both these factors, members of minority communities cannot readily get responses when dealing with the state sector. 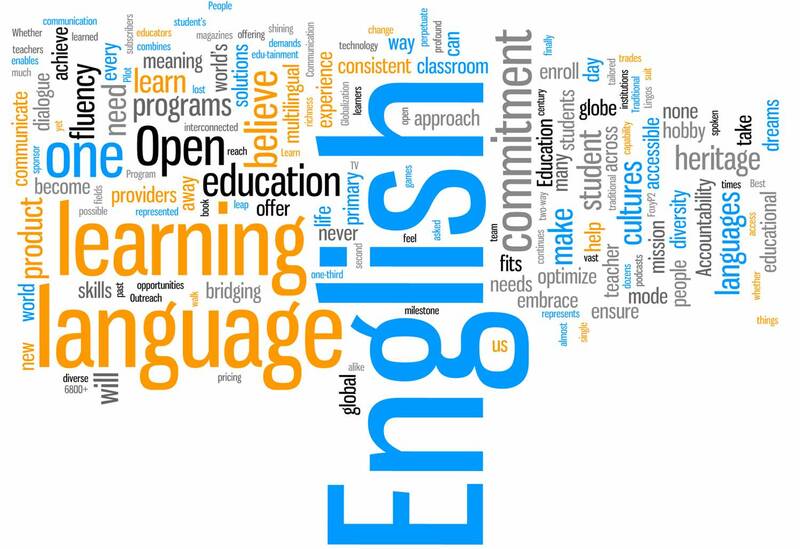 Fourth, where there are requirements about documentation etc being available in all languages so that all citizens can gain awareness, there are immense difficulties and delays about translation. Liam Fox has been the subject of much criticism, and some of it seems to relate to possible financial benefits to Adam Werrity, his former flat-mate. If indeed it turns out that Werrity has benefited from business deals through Fox’s influence, or that he has been funded by British tax-payers, then I presume such criticism is deserved. I have been astonished however by other aspects of the hounding of Fox that have to do with Sri Lanka. I was alerted to this by Jason Burke of the Guardian, who called me up from Sri Lanka, where he now is, to ask about Fox. He seemed to assume that I would know about Fox’s visits to Sri Lanka, or perhaps it was only that I tend to answer questions and would provide good copy for a journalist. Unfortunately I could not help him since I met Liam Fox only once, and that four years ago when he came to see me soon after I became head of the Peace Secretariat. This was in the context of his having brokered several years previously what was known as the Liam Fox agreement, between President Chandrika Kumaratunga and Leader of the Opposition Ranil Wickremesinghe. 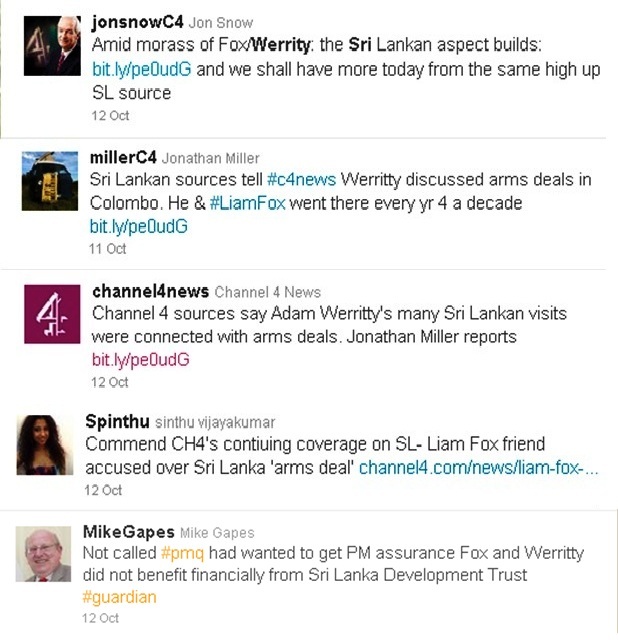 Though the agreement was no longer a reality, it seemed that Fox was still interested in contributing to peace in Sri Lanka, and I thought his commitment genuine. However, though I tried once or twice, I was not able to see him when I visited England, and unfortunately I missed his Lakshman Kadirgamar talk earlier this year, since I was abroad. Jason Burke’s questions however ranged far and wide. He asked me if I knew of a Trust Fund, which he believed Fox had set up soon after the defeat of the LTTE, to assist in rebuilding the North. I had not heard of this, but told Jason that I had not been involved in that programme, but he should talk to the Secretary of the Presidential Task Force, Mr Divaratne. 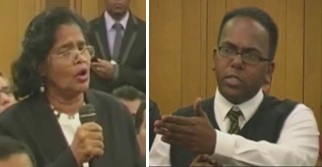 Then the questioning got stranger, since I was asked if I knew about Bell Pottinger, and whether they had any connection with Fox. Since I had worked with Bell Pottinger for about a year, when they were handling public relations with regard to Britain, I knew the firm, but had to tell him that they had not mentioned Fox at all in my presence – nor Adam Werrity, since that was his next question. They show their hand openly here in highlighting their animosity and fear regarding Mrs Rajeswary, who has been fearless in combating terrorism. 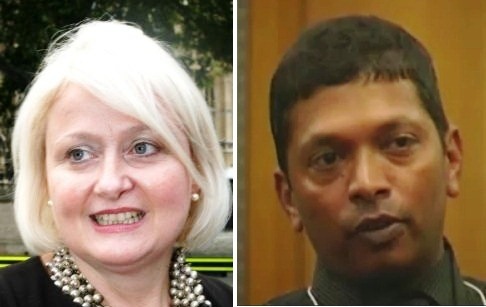 The Sri Lanka Guardian has now jumped into the fray with an article on the meeting held in the House of Commons on October 12th to screen ‘Lies Agreed Upon’, the rebuttal of the latest Channel 4 film on Sri Lanka. This was an unexpected bonus, because it makes even more obvious the networking between those opposed to the Sri Lankan government and Tamils who do not support the rump Tiger terrorists. 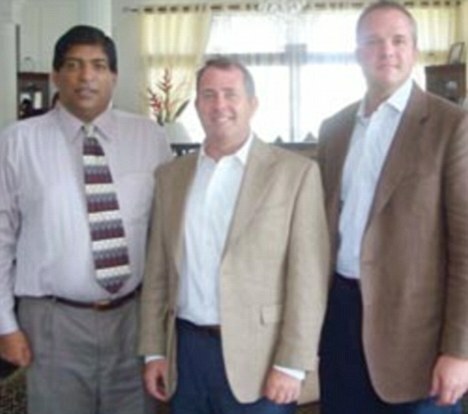 A very strange article about the meeting at the House of Commons to screen ‘Lies Agreed Upon’ appeared on the Athirvu.com website on 13th October 2011. I believe it was written by the young man called Daran whom I had befriended at the event, who told me that he was a freelance journalist called Canaa, but who turned out to have entered the event as a researcher for the Labour MP Siobhain McDonagh. 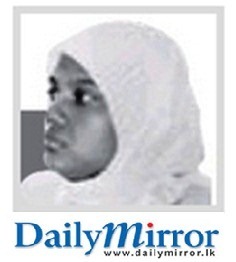 I was deeply shocked by the article on Sri Lanka by Andrea Spalinger that appeared in your columns last week. She listened in while I was giving an interview to another lady from Switzerland, and I fear she has misrepresented some of the things I said. Innuendo, as with regard to the last sentence concerning me, and omission of relevant facts, as with my comments on housing, are bad enough. 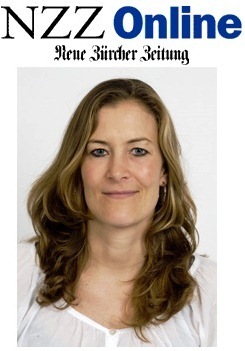 But while one has got used to that with all journalists, downright falsehood still continues to alarm, and especially in the columns of the Neue Zurcher Zeitung.